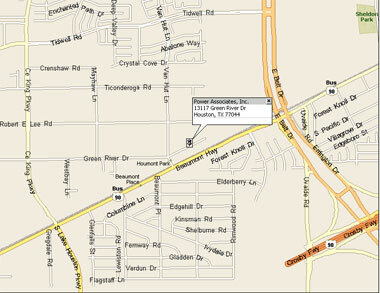 Power Associates, Inc. warehouse and production facility is located in Northeast Houston, near the junction of Highway 90 and Beltway 8. Please set an appointment before visiting. Click above for an interactive map and driving instructions (provided by MapQuest).